I have posted this shot once before but I thought my Autumn series wouldn’t be complete without it. Taken at Painshill Park in Cobham, Surrey. 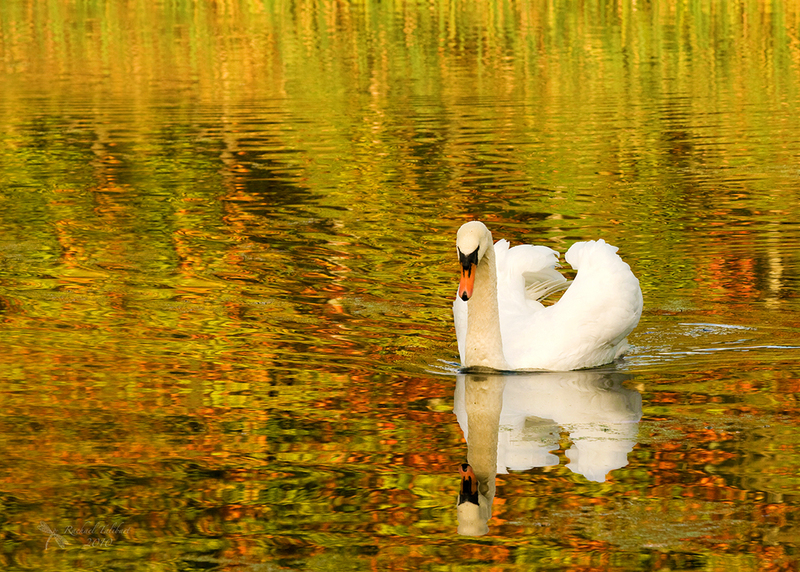 This entry was posted in photography and tagged Autumn, autumn colour, Autumn swan, Painshill Park, photograph, photography, reflections, Surrey, swan by Rachael. Bookmark the permalink. This is amazing, Rachael! I love the reflection of the Fall colors on the water. Perfect composition too. So glad you reposted so I didn’t miss it. Seems it’s rare we go digging back into archives since there’s always so much new stuff coming in. Very lovely image… totally worth repeating. Thanks. :). I started blogging because I wasn’t able to take new images at the time. Blogging allowed me to enjoy photography still through revisiting my old images. Beautiful colour of the lake. Thanks. There’s a vineyard on the shore and that’s what you can see reflected.